The word “plastic” derives from the Greek plastikos, meaning capable of being shaped or moulded (from plastos, “moulded”). It refers to the malleability or plasticity of the material. Plastic is a man-made material that has spread all over the world, and has led to so-called plastic pollution, which is almost impossible to clean up. The plasticity of plastics and their impact on the ecosystem are out of human control. The Baltic Sea Plastique installation sets out to explore the complexity and controversial nature of the environmental threat caused by plastic waste. 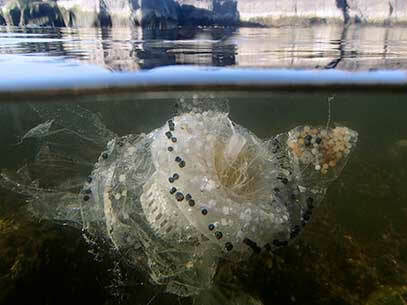 The work combines the plasticity of visual arts with the creative and resilient capacity of marine life. The astonishing plastic beauty of marine creatures— all synthetic and made of plastic trash in the installation—evokes the formative process of nature. For better or for worse, plasticity is a testament to life’s metamorphic capability. 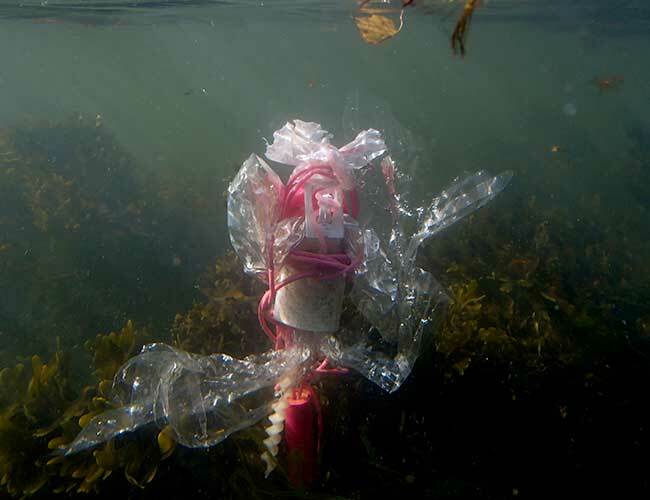 Baltic Sea Plastique presents a plastic world of sensations in which synthetic and organic forms coexist, interact, and create puzzling natural artifacts.